How very Van Gogh! 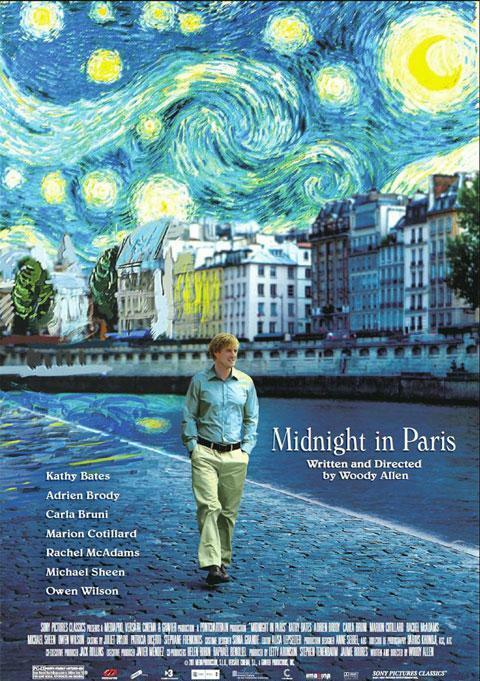 What could this poster, which borders on a bad Photoshop project, possibly be saying about Midnight in Paris? The cast includes Owen Wilson, Adrien Brody, Marion Cotillard, and even French first lady Carla Bruni-Sarkozy in the romantic comedy about a family traveling to Paris on a business trip. What do you think of the Van Gogh inspired poster? And more importantly, what European city should Woody Allen tackle next? It has already been announced that Allen will shoot his next film in Rome. I would love to see cities I love such as Berlin or Prague get the Woody Allen treatment. Even more ideal would be Istanbul (I have a serious love affair with that city).